June | 2015 | Live Cheap, Feel Rich! I don’t know about you, but I feel like I am constantly being told conflicting things about what’s ‘healthy’. One of my biggest issues is how to handle my morning coffee. Personally, I’m not the kind of girl who is into black coffee – a little too strong for me. Then I’m told to try to get out of the dairy game, opt for soy or almond milk. THEN – sweetening is a whole other story. I’d rather not use ‘normal’ sugar in my coffee, but I’m also being told that zero-calorie sweeteners have unsafe chemicals that can be cancer-causing in the long run. What’s a girl to do? I’ve been doing some research, and Truvia® seems to be the solution. 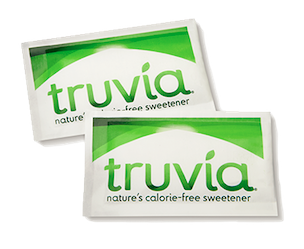 Truvia® is all natural – made from the stevia leaf – discovered hundred of years ago in Paraguay. Stevia is blended with Erythritol, a natural sweetener produced by a fermentation process – found in fruits like grapes and pears. It’s natural, MSG-free, diabetic friendly, gluten-free, and hey! Even Kosher. It’s got my stamp of approval! I’ve transitioned to using Truvia® daily and the taste is just as good as anything else – and I don’t feel guilty or worried about it at all. To help you make the switch, they’re willing to send you two free sample sachets and a valuable coupon just for filling out a form. 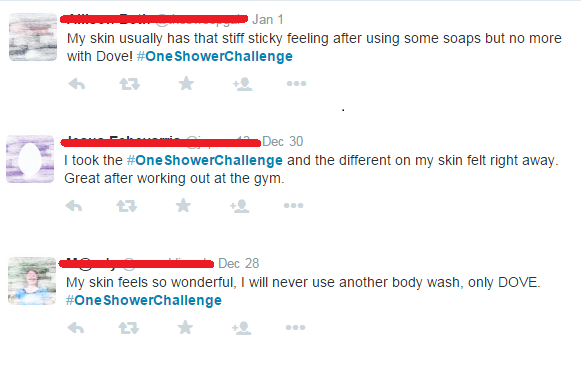 Personally, I’m not the kind of person who is brand consistent when it comes to showering or bathroom products. I am more of the kind of person who finds whatever is cheap on a shelf, smells it, and if it passes the sniff test – tosses it in the cart. The Dove campaign has been so heavily advertised on television lately that I was driven to check it out. I’ll search anything with a hashtag. I took a cruise around Twitter and saw that people really were happy! Tried to protect some privacy here – don’t mind the strike-throughs. I’ll be checking this out to see how legit this product is – Dove generally never disappoints for me. Might as well check out their free sample below and take the challenge yourself too!